The brickyard is clearly visible at the bottom center of this photo, which dates from around 1904. One can even see the walls of the clay pit from which the very hard, dark green clay was dug to make the bricks.The photo was taken from near the top of Brickyard Mountain. One can also see on the bottom left of the photo the tracks of the Boston and Maine railroad. A primitive Lakeside Avenue leads from the brickyard through woods towards downtown Weirs Beach, which cannot be seen at all in the photo. The house with the orange roof in the dead center of the photo, “Fernside”, is still standing, at 414 Lakeside Avenue. 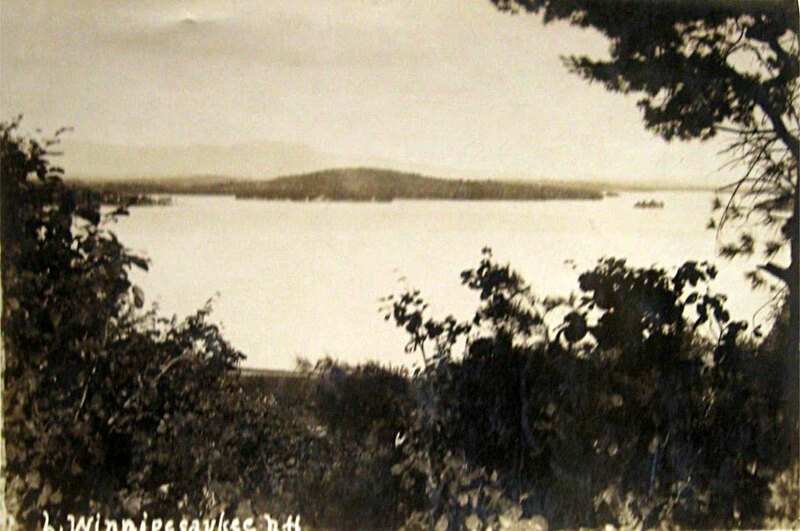 (Fernside was the long-time residence of Beth Lavertue (1919-2007), former president of the Lake Winnipesaukee Historical Society, and was built by her great-grandparents in 1889.) Although painted white in the photo, the large house with the black roof diagonally across Lakeside Avenue from Fernside was made of red brick, and served as the sales office for the brickyard. Built in 1850, it is also still standing, at #425 Lakeside Avenue. Off in the middle distance on a hill is the large clearing of Prescott Farm, with White Oaks Road splitting the farm right down the middle. 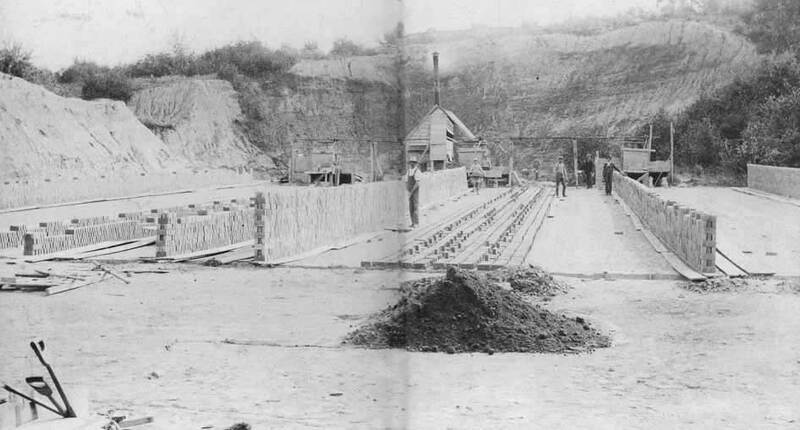 To make the bricks, fine sand, rich with mica and silica, came from “Hatter’ Bean’s”, near Nestledown Farm, which is not visible in the photo. Virtually no trace of the brickyard or the other buildings in this photo remains today. However, if one wanders into the woods, one can still see the steep sloping walls of the clay pit. Below is a similar, contemporary view, taken from near the top of Brickyard Mountain, on a beautiful spring day, April 24, 2013. Here is another view of the Brickyard’s sales office (center) and Fernside (right). Remarkably, this historic view is almost an exact duplicate of the current view out of the picture window of the webmaster’s family home. However, the family land was not cleared and the home was not built until 1951, about a half century after this photo was taken. The Brickyard is just out of sight to the left in the photo. (The Brickyard was undoubtedly visible in the original real photo, but was edited out by the colorizing artist.) 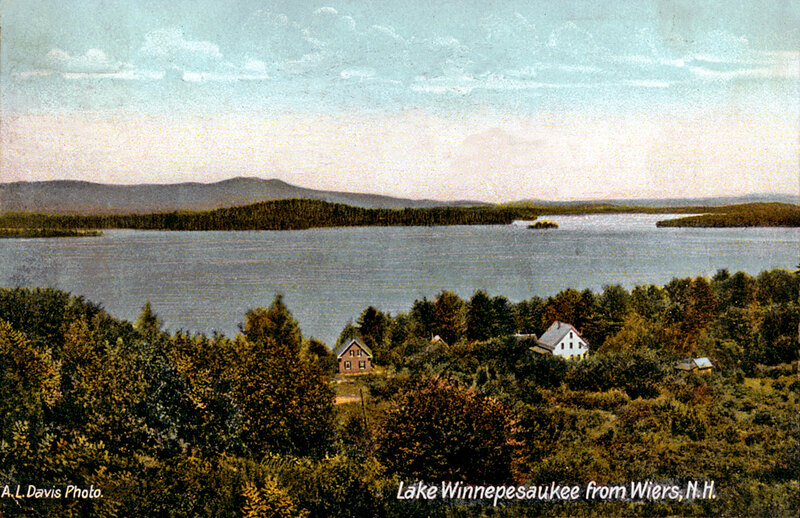 This postcard was postmarked August 24, 1909. 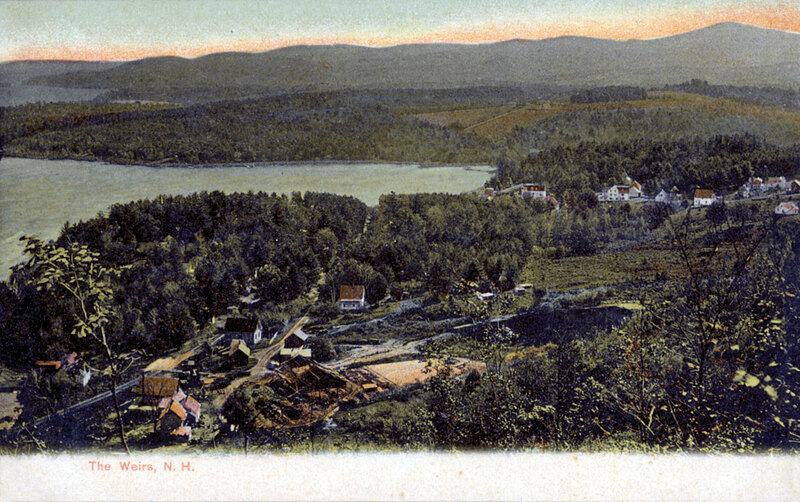 A similar real postcard view to the above. 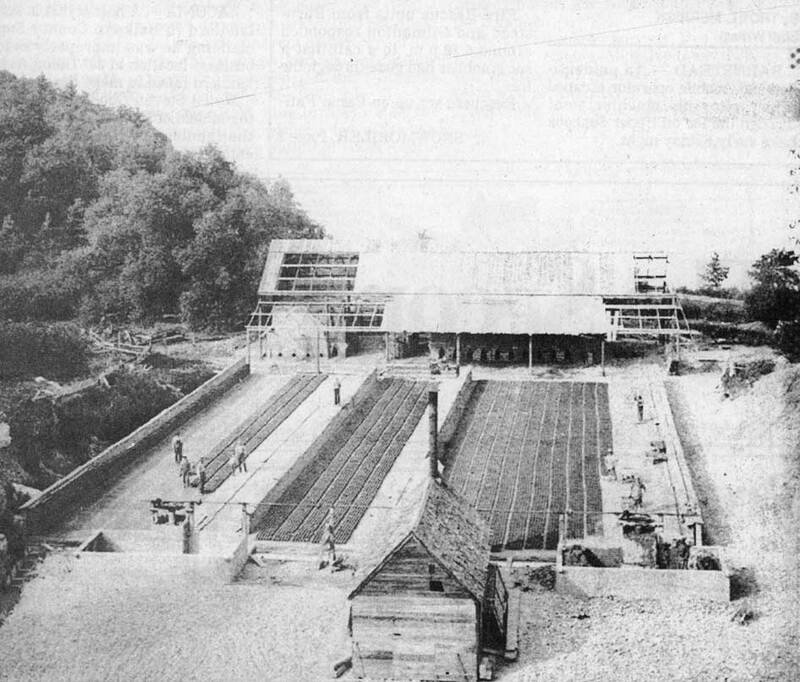 Below, a view looking over the Brickyard kiln toward the Lake. Look Off Rock hill is on the left. Below, the view looks over the carefully stacked piles of bricks directly at the u-shaped wall of the massive clay pit. 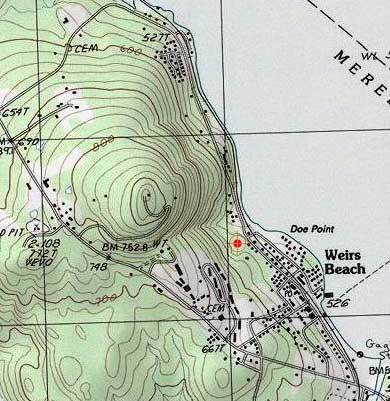 The location of the brickyard is indicated by the bullseye on the topographical map below. While at its peak it produced more than 400,000 bricks a year, it is nothing but wetlands and woods today. After the brickyard went of business, the brick house sales office was sold. 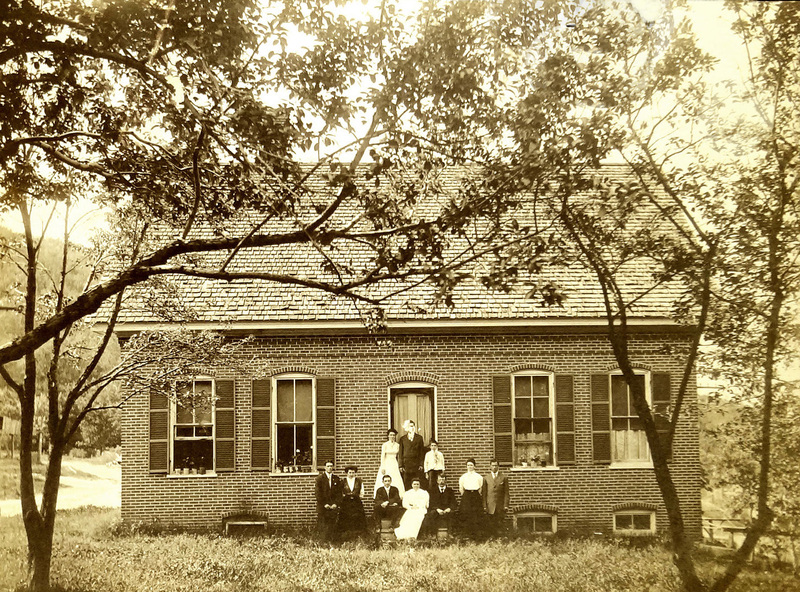 Below, a William H. Parsons photo of the Boivert family on the front steps of the brick house. Lakeside Avenue is to the left. The house still stands today, but is nearly unrecognizable. The house has had several additions since the time of the photo, including a major one in the 2010’s that added several two-story condominiums to the original structure.